Individuals with disabilities and their families gained a significant new planning tool with passage of the federal Achieving a Better Life Experience (“ABLE”) Act in December 2014. Pennsylvania’s own ABLE Act, signed into law April 2016, authorized creation of a Pennsylvania ABLE Savings Program, which should be up and running sometime in 2017. ABLE accounts can help disabled persons and their families plan for more financially secure futures without jeopardizing their eligibility for important benefit programs like Supplemental Security Income (SSI) and Medicaid, which impose asset and income limits. How it works. Individuals who became disabled prior to age 26 can establish an ABLE account to which they and their family members and other persons may make contributions. Account savings will grow income tax-free. Total annual contributions to an individual’s ABLE account cannot exceed the federal annual gift exclusion amount ($14,000 in 2017). Funds in the account will not affect Medicaid eligibility, and the first $100,000 of cash contributions to the account will not disqualify the disabled individual from SSI benefits. 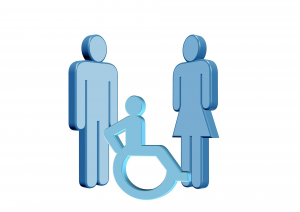 Funds can be withdrawn by the account beneficiary either for qualified disability expenses (e.g. education, housing, transportation, employment training and support, and other expenses related to the individual’s disability) or for other purposes. When used for qualified disability expenses, the withdrawals will be exempt from federal and state income tax; distributions for non-qualified expenses must be included in the beneficiary’s taxable income for the year and will also be subject to an additional 10% penalty. The beneficiary and his or her agent will be responsible to track and categorize withdrawals for accurate income tax reporting. The accounts will also be exempt from Pennsylvania inheritance tax upon the death of the disabled individual. Pennsylvania ABLE accounts. Pennsylvania’s Treasury Department is working to create a PA ABLE account program. You can sign up here to receive updates about PA ABLE when the program is available. Alternatively, three of the four states that have already established their own ABLE accounts – Nebraska, Ohio and Tennessee – have nationwide programs that are available to residents of other states. Independence. As stated above, disabled individuals with an ABLE account will be able to save money and not have it impact their SSI or Medicaid eligibility. They will also be able to manage and withdraw money from their own accounts, including with a debit card, to cover their own expenses. Flexibility for disbursements related to housing expenses. Whereas distributions from a special needs trust for housing expenses can impact and reduce an SSI recipient’s monthly benefit, in general, distributions from an ABLE account for housing expenses should not reduce a beneficiary’s SSI monthly benefit. Pennsylvania ABLE account proceeds left to a designated beneficiary may not be subject to recovery for MA benefits the disabled person received during his lifetime. The federal ABLE provision allows states to seek repayment of MA benefits the disabled person received during his or her lifetime from funds remaining in an ABLE account upon the death of the disabled account holder. Pennsylvania’s position on whether it will seek such reimbursement from ABLE accounts is still being clarified; however, it is clear that any funds transferred from a disabled beneficiary’s ABLE account to the disabled individual’s estate after death will be subject to estate recovery. An ABLE account holder who properly designates a beneficiary to receive remaining account proceeds upon his or her death may be able to avoid this result. Changes sought by states and disability advocates. The IRS has not yet released its final regulations about ABLE accounts but has issued interim guidance responsive to concerns that certain aspects of the Act, unless changed, could create significant barriers for states seeking to establish their own ABLE programs. Guidance issued to date has assured states that final regulations will not require them to distinguish between withdrawals for qualified disability expenses vs. other distributions, will not require each person contributing to an ABLE account to provide their taxpayer identification number, and that the requirements imposed on states to verify that account beneficiaries are certified as disabled will not be onerous. permitting a working ABLE beneficiary to exceed the annual gift exclusion amount (currently $14,000) by contributing his or her own earnings up to an amount equal to the Federal Poverty Level (currently $11,880 for individuals). Look for future updates from Gibbel Kraybill & Hess regarding the roll-out of Pennsylvania ABLE accounts and for any changes in the regulations governing all ABLE accounts. Prepared by GKH attorney Ann Martin. Attorney Martin practices in the areas of Estate Planning and Administration, Elder Law, and Disability Law.